Building Design comprises of various courses, which includes industry specific CAD software that are used by Building Designer or Civil Engineers or Architects for accomplishing preliminary tasks like visualizing, simulating, analyzing, designing, estimating and managing building projects. CAD software aids in identifying design’s flaws and pinpointing serious build problems. 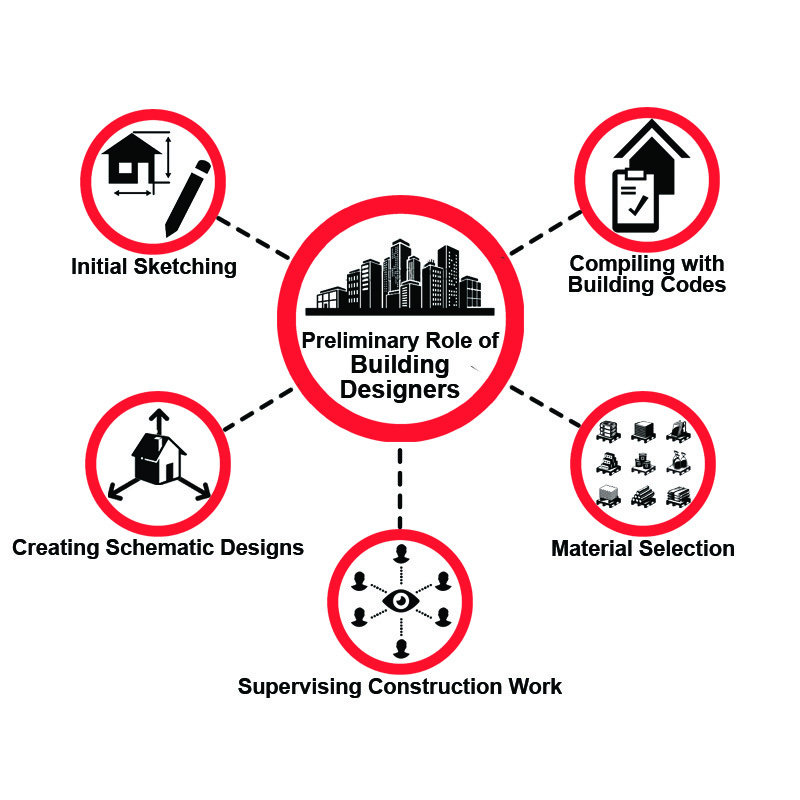 Building Designer basically deals with planning, designing, and constructing interior and exterior layouts of a building by applying the concepts of architectural, engineering and technology developments to the design. Building engineering mainly comprises the services of Structural, Mechanical and Electrical engineers. All licensed Architect or Structural Engineer mainly requires the service of a building designer. CADD Centre is an authorized training centre which offers courses in various combinations and as a stand-alone basis for different software in Building Designing. 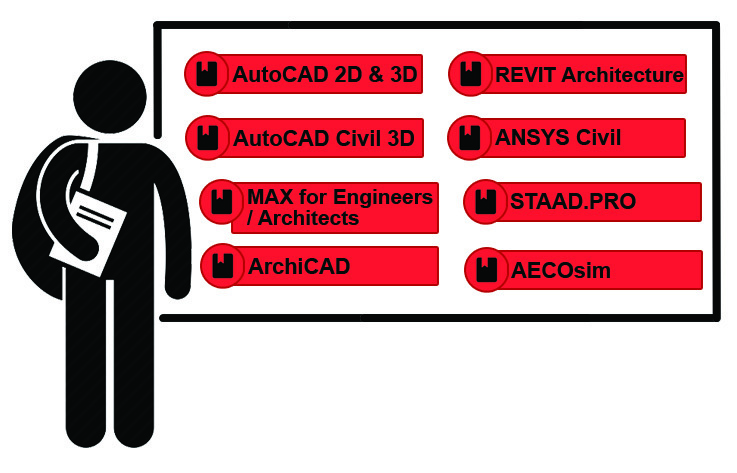 We teach latest versions of world's most popular software products for AutoCAD 2D, Revit Architecture, ANSYS Civil, STAAD.PRO, AECOsim etc. After gaining the CAD skills, any building designers can easily find employment in government as well as private sectors thereby easily creating complex drawings and 2D & 3D renderings of structural components, including framework, foundations.